Scott Heather was named the head coach of the Bucknell baseball program on June 18, 2012, succeeding the retiring Gene Depew. Heather spent the previous eight years as an assistant coach at Bucknell, helping the Bison to a pair of Patriot League Tournament titles and NCAA appearances. 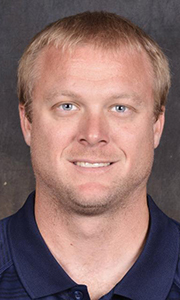 A former pitcher at the University of Arkansas, Heather has served as the pitching coach throughout his tenure at Bucknell. Under his direction, the Bison pitching staff has posted an ERA of under 4.50 on three occasions. The staff had a 4.30 ERA in 2006, marking the team's lowest since 1983 (4.10), and it ranked fourth in the Patriot League with a solid 4.65 ERA this past spring. During his tenure, Heather has tutored a number of outstanding pitchers, including 2011 Patriot League Pitcher of the Year Ryan Ebner. Additionally, Heather oversaw the development of 2008 graduates Jason Buursma and Mathew Wilson. Those two former Bison claimed back-to-back Patriot League ERA titles, while Buursma earned a pair of First Team All-Patriot League selections as a relief pitcher. Wilson, who was the 2007 Patriot League ERA champion, broke the school record for career shutouts and pitched a complete-game shutout against nationally ranked Florida State in the 2008 NCAA Tournament. Heather has had the opportunity to see Bison pitchers selected in three Major League Baseball Drafts since his arrival in Lewisburg in August 2004. Buursma was drafted in 2007 (42nd round by Seattle Mariners) and 2008 (25th round by St. Louis Cardinals), while Kyle Walter was selected in the 18th round of the 2006 draft by the Toronto Blue Jays. In addition to his duties with the Bucknell pitching staff, Heather has served as the program's recruiting coordinator and has assisted with all fundraising projects during his time with the Bison. Prior to his stint as an assistant at Bucknell, Heather served as an assistant coach at Arkansas-Fort Smith from 1999 to 2004. Heather began his playing career at Arizona Western College in Yuma, Ariz., where he was MVP of the 1996 team that was ranked third nationally, before moving on to Arkansas. Heather lettered for the Razorbacks as a pitcher in 1997 and 1998, and then became a student assistant in 1999 when Arkansas won its first Southeastern Conference championship. He also pitched professionally for the Duluth Dukes of the Northern League in 1998. Heather and his wife, Emily, live in nearby Mifflinburg with their two-year-old daughter, Ellie. 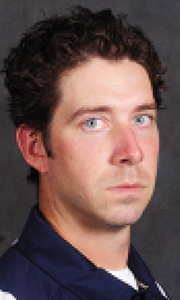 Former professional baseball player Jason Neitz joined the Bucknell staff in the winter of 2011, and in the summer of 2012 he was promoted to top assistant coach under new head coach Scott Heather. A native of nearby Mifflinburg, Pennsylvania, Neitz was drafted in the 37th round of the 2007 Major League Baseball Draft by the San Francisco Giants. Since taking over as Bucknell's pitching coach, Neitz has helped the Bison continue as one of the best pitching teams in the Patriot League by focusing on keeping the ball low and throwing strikes. In 2015, Neitz oversaw a staff that posted an impressive 3.37 ERA, the lowest for a Bucknell squad in nearly 40 years. That figure barely eclipsed the 2014 staff, which registered a 3.44 ERA. In Neitz's first three years as pitching coach, the Bison team ERA was lowered each season. A 2002 graduate of Mifflinburg Area High School, Neitz played baseball for four years at East Carolina before graduating in the fall of 2006 with a bachelor’s degree in physical education. A left-handed pitcher, Neitz was 3-2 with an ERA of 4.71 in 80.1 career innings over 43 appearances with the Pirates. He recorded 55 strikeouts. Neitz, who serves as Bucknell’s pitching coach, played professionally for four seasons, three in the Giants organization, and most recently one with the Washington Wild Things. Neitz got his start in the coaching profession as an assistant at Mifflinburg Area High School in the spring of 2010. Bobby Felmy is in his second season as an assistant coach at Bucknell in 2017. He spent the previous five years at the high school level as head coach of the nearby Shikellamy Braves in Sunbury, Pennsylvania. Felmy is an accomplished baseball player. He was drafted in the 22nd round of the 2006 Major League Baseball Draft by the San Francisco Giants and went on to play four seasons in their minor league system. He played in the Northwest League (A) for the Salem Keizer Giants, the Southeast League (A) for the Augusta GreenJackets, the California League (A+) for the San Jose Giants, and the Eastern League (AA) for the Connecticut Defenders. As an outfielder, he hit .281 in his minor league career, with 223 RBI and a .410 slugging percentage. He ended his career with a total of 36 home runs and 82 doubles in 429 games. Felmy played collegiately at Georgia Perimeter College and the University of Georgia. While at Georgia Perimeter from 2002-2003, Felmy was named a Second Team NJCAA All-American along with First Team All-District and All-Region honors. Felmy then transferred to Georgia, where he was an outfielder for the Bulldogs from 2003-2006. During his time at UGA, he played in the 2004 and 2006 College World Series and was a part of the 2004 SEC Championship team. A native of Sunbury and a graduate of Shikellamy, Felmy resides in his hometown with his wife, Bria, son, Bobby, and daughter, Baylor. 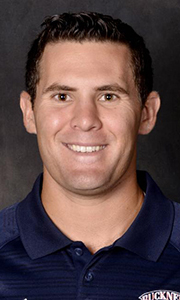 Former University of Rochester baseball standout Nate Mulberg was named an assistant baseball coach at Bucknell in August 2016. 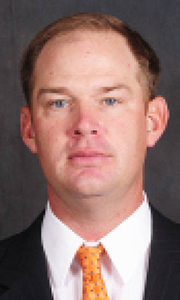 Mulberg spent the previous two years as an assistant coach at Franklin & Marshall College. Mulberg helped guide Franklin & Marshall to a 28-13 record in his first season with the Diplomats in 2015, marking the fourth-most victories in program history. The squad totaled three all-region players, nine all-conference selections and on conference Rookie of the Year during Mulberg’s tenure, during which he served as recruiting coordinator and oversaw the program’s community service efforts, including raising $6,000 to aide children fighting cancer. A two-time CoSIDA Academic All-District selection and a three-time University Athletic Association and Liberty League All-Academic Team member during his undergraduate days, Mulberg was Rochester’s team captain as a senior in 2014 and ranked as the sixth-toughest batter to strikeout in the nation that year. Mulberg has plenty of background in sports having served as a sports information assistant at Rochester for three years and as a media relations intern with the Buffalo Bills in 2013. Mulberg was also a communications/sales and marketing intern with the Rochester Red Wings during his final semester of college. Mulberg graduated from Rochester in 2014 with a bachelor’s degree in English with a minor in business. He earned a master’s degree in sport management from Millersville University in 2016.